Hat Yai changes incredibly quickly, as does the rest of Thailand. I first visited Pattaya in 1987, but when I went back for the second time in 1992 I didn't recognise anything. It had changed beyond recognition. Exactly the same thing has happened with Hat Yai. I first visited Hat Yai in 2002 and moved there to live in 2003. Compared to then, the town now is a completely different place. Lots of businesses have closed and lots of new ones have opened. Many businesses have relocated away from the town centre and lots of large out-of-town shopping malls have sprung up. There has been a huge property boom in recent years and locations that were empty ground just a few years ago are now full of new housing developments. When I arrived in Hat Yai, there was just one high-rise condo building - Napalai Place. Now, there are around 70 new condo buildings. Land and property prices have soared in recent years. Many factors have driven the boom and the town's population has increased dramatically. The insurgency that reared up again at the beginning of 2004 in the southern provinces of Yala, Narathiwat and Pattani is ongoing and, and as a result, many people living in those provinces have moved to Hat Yai. In addition, the town has a lot of schools, hospitals and employment opportunities. These things attract many Thais from other southern provinces that aren't as well developed. It really is a thriving town. As this site has become bigger, making updates has become a bigger task. My personal circumstances have also changed in the last few years with the arrival of two children. This has turned my life upside-down and the amount of time I can spend working on the site nowadays is restricted. I do my best to keep information up to date but, as I said above, many things change and these changes occur frequently. Some of the information in these pages, therefore, may be out of date. If it is, please accept my apologies and please let me know so that I can change it. Feedback is always welcome and your input helps to make the information here more useful to other visitors. I started writing this site about a year after moving to Hat Yai. My reasons for doing so were for my own amusement and to perhaps assist other people thinking of making a visit. With this web site in mind it has made me generally more observant of things around me. Before I came to Hat Yai I tried to find information about the town but what I found on the Internet wasn't very good. The only things people ever seem to mention are the whereabouts of a few cheap guest houses and bars on Thamnoon Vithee Road. I found this quite boring and not very useful. Even semi-official looking web sites tend just to use their web space as an advertising board for a few local establishments and don't offer any real information. The Hat Yai section in the Lonely Planet Thailand Guide isn't particularly good either. Lonely Planet doesn't exactly lie, but the information they provide isn't very good and the image of Hat Yai in my mind after reading Lonely Planet wasn't at all how I actually found Hat Yai to be. Lonely Planet have got Bangkok pretty well sewn up and, as Joe Cummings lives in Chiang Mai, they do a fairly good job there too. The publication is aimed at backpackers so they concentrate on the well-trodden Banana Pancake Trail through Thailand. My impression of their Hat Yai entry is that they considered it necessary in a guide to Thailand because Hat Yai is the biggest city in southern Thailand, but not very important, so just included an assortment of hotels, shops and restaurants selected at random in order to fill a few pages. It looks to me as if their researcher was only in town for a couple of days. The last edition I bothered to look at (2005) was a lot better and more balanced than previous editions but they still missed a lot. It's understandable. Their readership, which consists mainly of backpackers, will typically only be spending a night or two in Hat Yai and not venturing very far from the train station. For this type of traveller the information provided by LP will be quite sufficient. These pages contain my own personal view of Hat Yai after living in the town since the end of 2003. For that reason, it isn't a completely impartial view. I express my own opinions and preferences and I concentrate on activities and places that I find interesting. Depending on what any one individual finds interesting, another person's definition of 'places of interest in Hat Yai' may be completely different. I have never been very much into nightlife and now that I am married I don't have much interest in the places and people that draw many foreign males to Thailand. There are other web sites that cover those topics. However, I hope that this guide gives a more comprehensive and balanced impression of Hat Yai than the type of on-line resources I found when I was searching for information some years ago. Selamat Datang! Most visitors to this website come from nearby Malaysia. 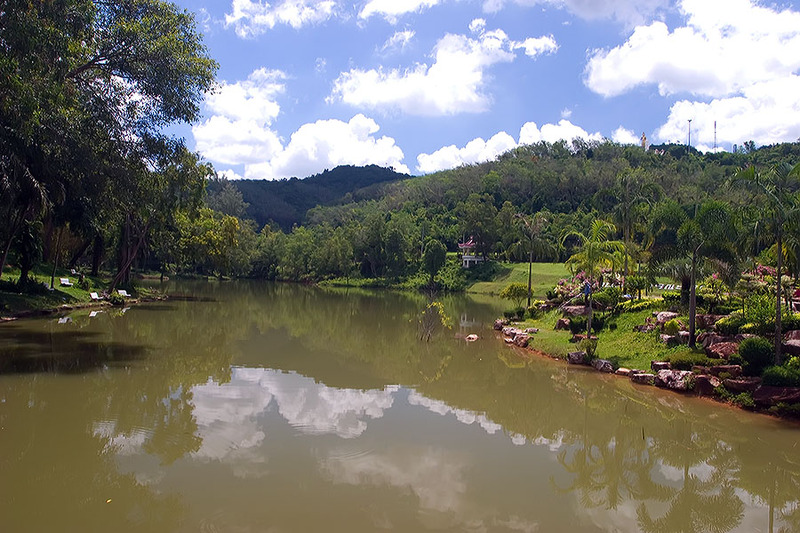 The Malaysian border is only an hour's drive away and Hat Yai is a popular and convenient destination for Malaysians wanting to take a short break. Next on the list are visitors from Singapore, at the bottom of the peninsula. Flying between Hat Yai and Singapore takes just over an hour. Hat Yai is not a very popular destination with Europeans and Scandinavians, although a few Scandinavian and European visitors do stop by occasionally. Fourth on the list is the USA, but this surprises me. I know very few Americans in this area and I am surprised that Americans would have any interest in Hat Yai. The Hat Yai section of Phil.UK.Net launched some time in 2004 (I can't remember which month exactly) but the following flag counter has only been running since 8th September 2011. The statistics apply to this introduction page only, which is one of the least visited pages on this site. The page about Hat Yai Nightlife is the most visited page. How did Hat Yai get its name? If you know a little bit about the Thai language, you will know that the word order is 'noun-adjective' and that 'haat' means 'beach' and 'yai' means 'big'. Easy - it means 'big beach'. Except that Hat Yai is inland and doesn't have any beaches. Mmmm. I have heard two theories. The first is that it does indeed come from 'big beach'. Hat Yai has a big canal called Klong Utapao that is an integral part of the town's flood defence infrastructure. 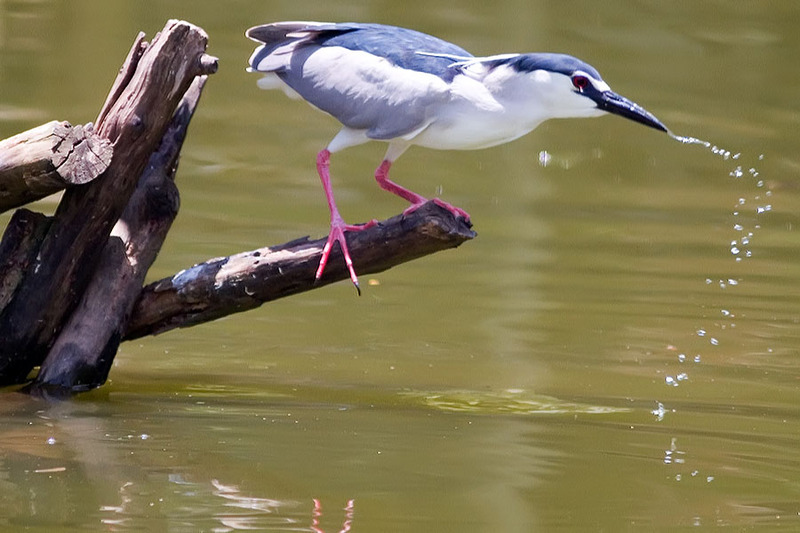 It carries away rain water that eventually ends up in Songkhla Lake. Before it was a canal, it was a river. And, apparently, there were large, sandy areas in the river that resembled beaches. The second theory is that 'hat' comes from 'ma-haat', which is a type of tree, and once upon a time there was a large 'ma-haat' tree standing where Hat Yai is today. It is this tree that gave the town its name. 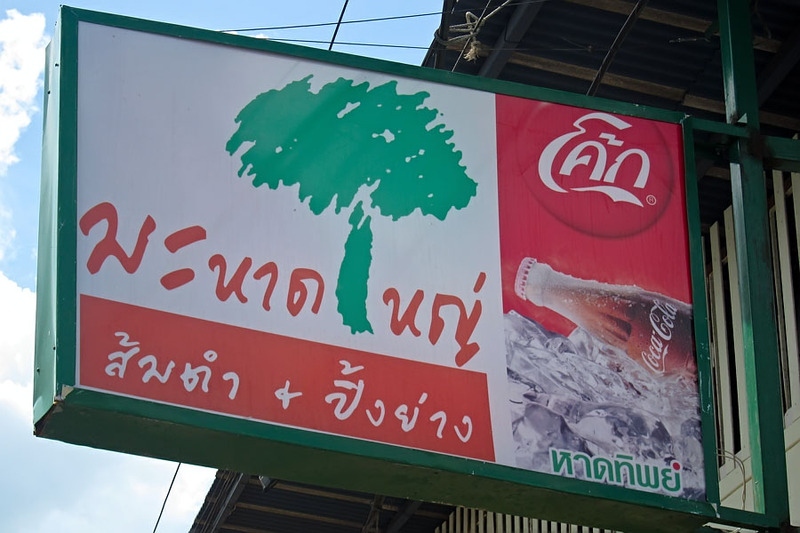 The sign in the photo is for a restaurant that also takes its name from the big ma-haat tree. I'm not sure which theory is correct. Population figures are always difficult to obtain for cities because who decides exactly where the city stops? I've read that the population in the greater Hat Yai area is about 850,000, and that there are about 180,000 people living in the city centre. 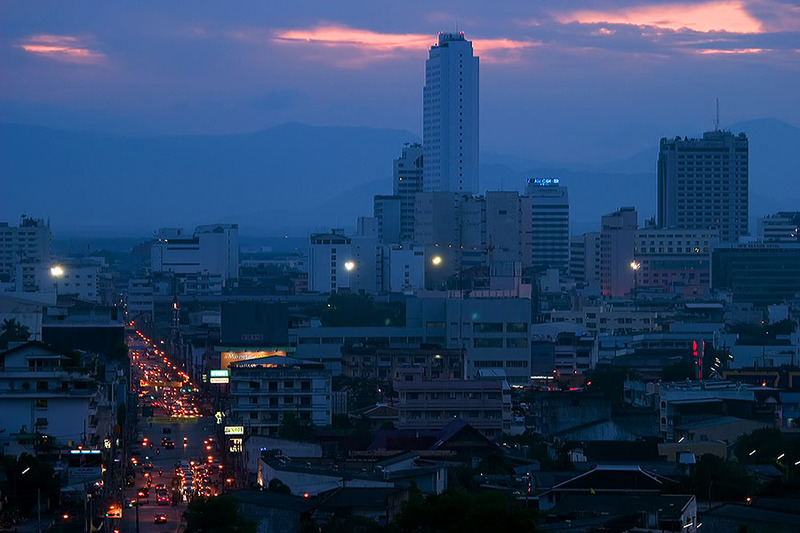 Compared to most provincial Thai towns and cities Hat Yai is quite big - there is even a recognisable skyline - but compared to Bangkok it is tiny. Nowhere in Thailand even comes close to Bangkok. In Thailand, Bangkok is the size of an elephant and everywhere else is just a mosquito bite on the elephant's backside. What are people's perceptions of Hat Yai? This depends very much on where people come from. There are many students and professional people living in Hat Yai who like the town for the education and employment opportunities that it provides. Rural Thais from the three deep southern provinces and places such as Phattalang, Satun and Nakorn Sri Thammarat see it as a large, developed town (compared to where they live) with lots of shopping opportunities. Western backpackers who are forced to stay in Hat Yai for a night before moving on north to Krabi or south to Malaysia generally hate it. Their only impressions of the town come from the ugly town centre and the grotty guesthouse that they stayed in. As you enter Thailand by road from Malaysia at the Dannok border crossing there is a large sign warning of the dangers of HIV and AIDS. 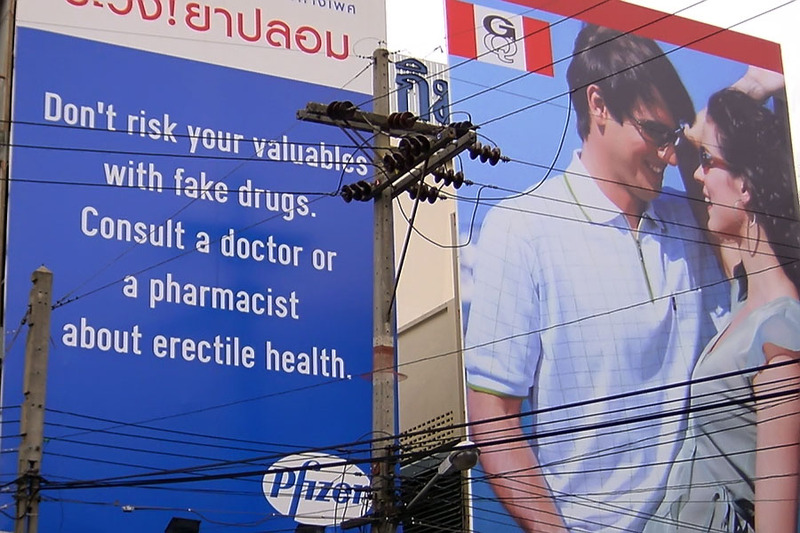 Pfizer, the manufacturer of Viagra©, paid for a huge billboard to warn of the dangers of taking fake erection enhancing drugs. 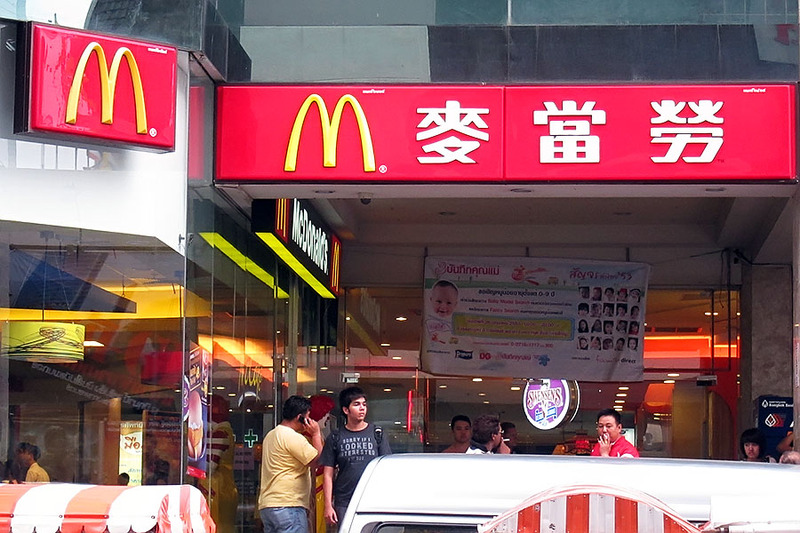 The sign first appeared above Gim Yong market then moved to the side of the V.L. Hotel so it was visible from a long way off when approaching Hat Yai from the direction of Satun. A young Australian I met who had been in Hat Yai for a year teaching and studying told me that every day he questioned his decision about basing himself in Hat Yai. "There are 250 Karaoke bars, but there isn't one art gallery," he told me. I'm not sure how accurate his figure of 250 was but there certainly are a lot of Karaoke bars (where no singing takes place) and I am not aware of any permanent art galleries. If you can't live without art galleries or other forms of cultural stimulation then Hat Yai probably isn't for you. Better choices might be New York, Paris or London. These things tend to say quite a lot about how Hat Yai is seen by many people. But is there more to Hat Yai? I think there is, otherwise I wouldn't be here, and in these pages I'll attempt to paint a more balanced picture of the town. According to Lonely Planet, Hat Yai is 933km from Bangkok and is Southern Thailand's commercial centre. Yes, it is a long way south of Bangkok and it is only about 60km away from the Malaysian border. The economy is very dependent on Malaysian tourists who visit continuously throughout the year. It should be just another slightly depressing provincial Thai town that goes completely dark after sunset but because of its proximity to the Malaysian border it is quite different. Malaysians view Hat Yai as southern Californians might view Tijuana, or Brits might view Amsterdam. It is close enough to visit for a weekend; it is cheap relative to Malaysia, and it's fun. Groups of Malaysian girls come to shop, families come for weekend breaks, and groups of men come for other reasons. The Malaysian visitors are mostly of Chinese ethnicity but Muslim Malays and Indians also arrive. In addition to Chinese Malaysian tourists, Hat Yai sees quite a few Chinese Singaporean tourists who come for basically the same reasons. I assume that the easy Thai way of life must also be quite refreshing after living in Singapore for a while. Asian visitors are not restricted to Malaysians and Singaporeans. An article I read about prostitution in Thailand mentioned that Hat Yai is 'notorious' throughout Indonesia as well as Malaysia. Visitors also come from Hong Kong and China and I am told that there are lots of Japanese also. Regarding Hat Yai's 'flesh trade', it is still very much alive, but in recent years there has been effort to clean up the town's image. A lot of the trade has moved to the border town of Dannok and what remains has been made lower key. For example, when I first arrived in Hat Yai the huge bathhouse brothels used to have large posters outside showing photos of the girls inside. They were all removed and now the brothels just look like large buildings with no obvious sign of what goes on inside. Constructive feedback, corrections, and suggestions for improvement are always very welcome. In fact, nothing is more useful to other visitors than real up to date information from people who have just visited Hat Yai. As I live in Hat Yai, I no longer stay at hotels so information and feedback about hotels is particularly welcome. The site is too large now for me to keep everything constantly up to date. Your feedback makes a big difference. I answer most e-mails and try my best to help people if I can. In Thailand, all secondary towns and cities after Bangkok are very small by comparison. This includes Hat Yai which, although considered quite a large provincial town, is still tiny compared with the sprawling capital. 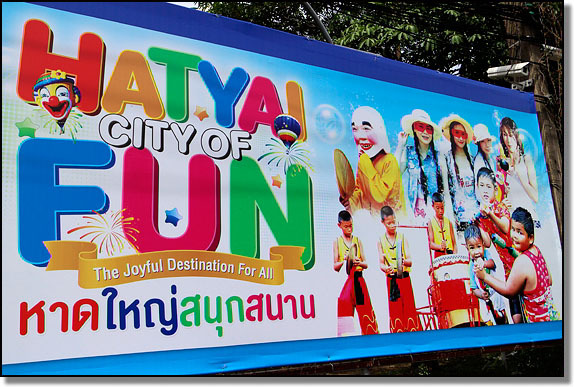 Most places of interest to sort-term visitors in Hat Yai are within easy walking distance of the central area. Clicking on the image will take you to a map of Hat Yai. The map is divided into quarters and clicking on any quarter will link to a larger map of that quarter. Map references have been included throughout these pages to assist readers with finding places I have referred to. A few years ago I also started adding GPS coordinates in order to make it easier for people to find places I have mentioned. Since acquiring a Garmin GPS unit I've started adding latitude and longitude coordinates to the places I've written about in this guide. However, the guide is quite big now and adding coordinates for every location is going to be a time-consuming process which will take a while to complete. If you have a GPS this should make places a lot easier to find. Also, if you have a GPS and can send me the coordinates of places I haven't got around to yet it would be appreciated. As if the Thai language wasn't already difficult enough, Thais take extra precautions to ensure that foreigners can't understand what they are going on about by having alternative names for streets and places. What's more, they don't think anything of using these alternative names with foreigners, and they expect strangers from out of town to know what they mean. A few examples in Hat Yai would be the Prince of Songkhla university and hospital which is always referred to as Mor Or. The three Niphat Uthit roads are referred to as Sai 1, Sai 2 and Sai 3 but you will never see this stated on a map. An area of Rajyindee Road is known as saamsip met (30 meters) for some reason. Schools tend to be abbreviated to initials so Hat Yai Wittayalai school becomes Yor Wor. Etc etc. Please do not steal any of my photos. If you want to use a photo please ask my permission first. I did a search on Google Images recently and was horrified to see how many of my images had been stolen and used on other websites without my permission. One of the great tragedies of Hat Yai is that very few people seem to be interested in preserving the city's old buildings. There are still examples of old wooden buildings, but they are fast disappearing. 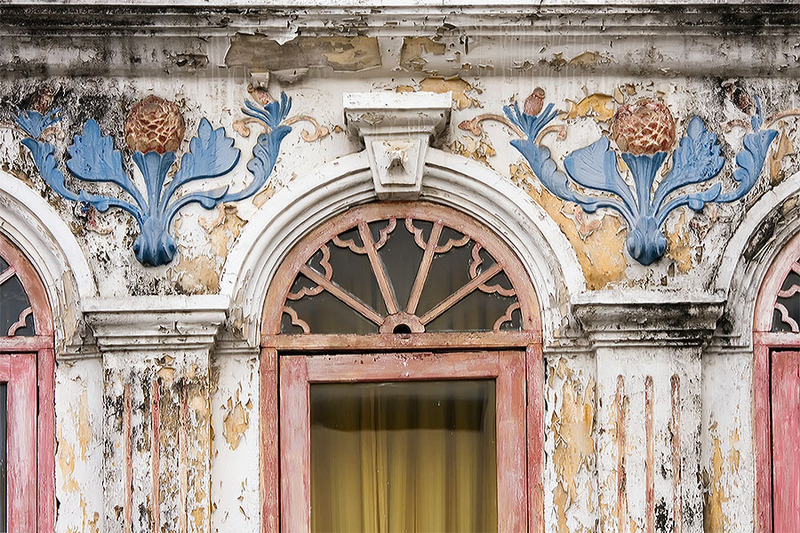 Along one part of Niphat Uthit 1 Road you can still find some examples of classic Sino-Portuguese architecture. The buildings had started to crumble, but I was pleased to see that a few years ago they were given a new coat of paint. It seems almost criminal. 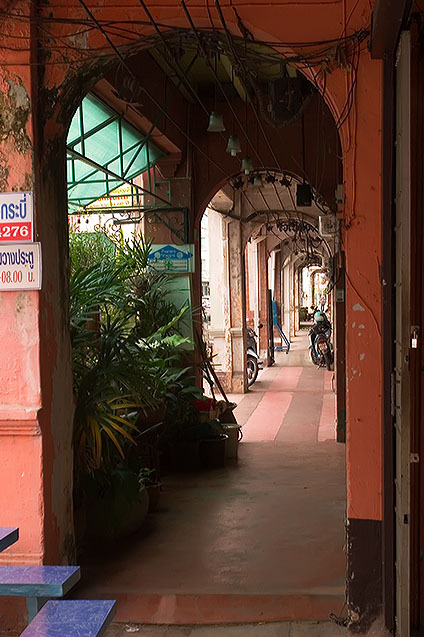 In nearby Songkhla (in the old part of town), the old buildings have been protected with preservation orders. On my last trip to Phuket town, I noticed that a lot of the old buildings have been restored, and restored faithfully. When Lee Kuan Yew began Singapore's journey to that of being a developed country, a lot of old areas were demolished. However, the Singaporeans realised in time that they were destroying their heritage and acted quickly. The brightly coloured Chinese shophouse buildings, intermingled with Singapore's skyscrapers and modern architecture, look fabulous now. 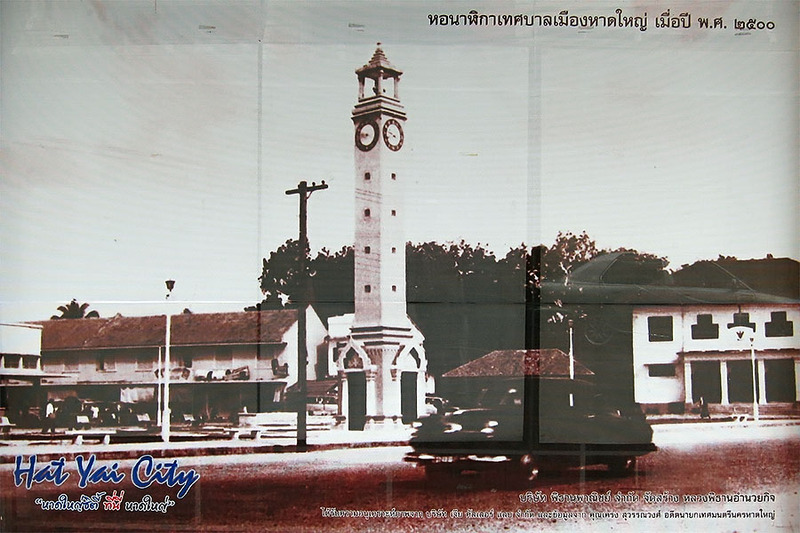 What did Hat Yai used to look like? Probably the best place to get an idea of how things used to look like is the area around the train station where there are still lots of old wooden houses on stilts. A few restaurants and photo frame shops have the odd picture of Hat Yai from some time in the past. I found quite an extensive collection of old Hat Yai photos in a small restaurant called Hat Yai City, located next door to the Winstar hotel near to Diana department store. The owner, Khun Juckkris Noonark, is keen on old photographs of Hat Yai and obtained several from different sources (mainly people from old Hat Yai families). He made new prints, framed them and hung them around his shop. They were very interesting, and available to buy. Unfortunately, the restaurant is no longer there. I heard about plans to open a local museum in the old TOT building next to Hat Yai Plaza and the clock tower. However, these plans never materialised and the building is now a public library. Despite all this gloom, there is some good news. It isn't publicised very widely, but inside Hat Yai University (a private university, as opposed to a government one) there is a museum devoted to Hat Yai's history. 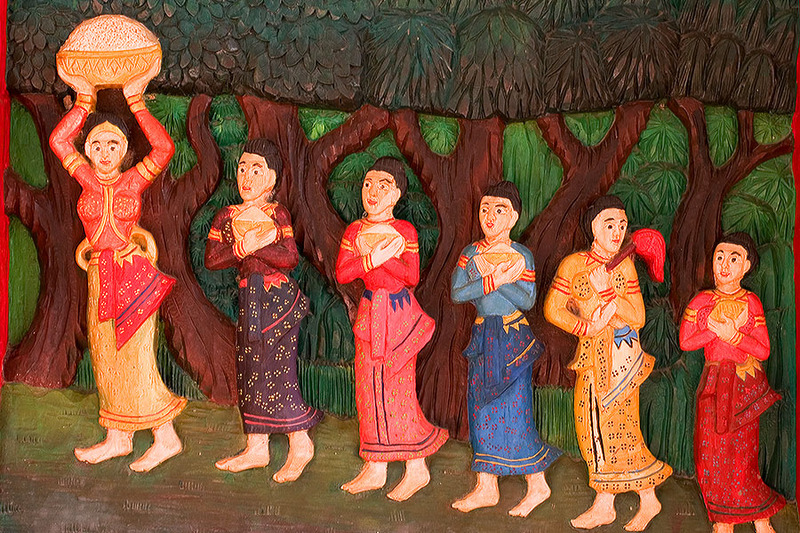 See Hat Yai City Museum for more details. Many people I know expressed their surprise when I based myself in Hat Yai because I could have lived anywhere in Thailand. For people who have never been to Hat Yai I have to stress that it is not beautiful. It is not 'Tourist Brochure Thailand'. In fact, compared to many areas of Thailand it is downright ugly. A friend from the UK who visited at the end of 2004 described it as the, 'Harlow of Thailand,' and anyone who has visited Harlow in Essex will understand that this comparison isn't exactly complimentary. Friends and family tend to visit once and then they never return! In the books with beautiful glossy photographs of Thailand and similar books that summarise the best hotels Thailand has to offer there is never a mention of Hat Yai, and for good reason. There are no beautiful white, palm-fringed beaches. There are no turquoise seas with opportunities to snorkel amidst stunningly colourful tropical fish. There are no giant limestone karst formations rising majestically out of the ground and sea, creating a magnificent backdrop to the town. There are no royal palaces, no ancient ruins from past Thai civilisations, no historic or particularly beautiful temples, no national archives or museums. But also what Hat Yai isn't is a big farang tourist trap. Yes, it is actually a big tourist town but most of the tourists are Malaysians just there for the weekend. There are no Indian tailor shops and generally I don't get hassled while walking around. Vendors in the local markets and some tuk-tuk drivers try to inflate prices but it is nothing to how prices have been inflated in mainstream farang tourist areas like Bangkok and Phuket. Prices for pretty much everything are cheap. In Hat Yai I actually feel like I am in Thailand and not in a suburb of Frankfurt or downtown Stockholm. As I walk around I see real Thais doing real jobs. It's a working town and not somewhere where every business is there purely for foreign tourists. Also, as I wander around, I get big smiles and I talk to a lot of people. 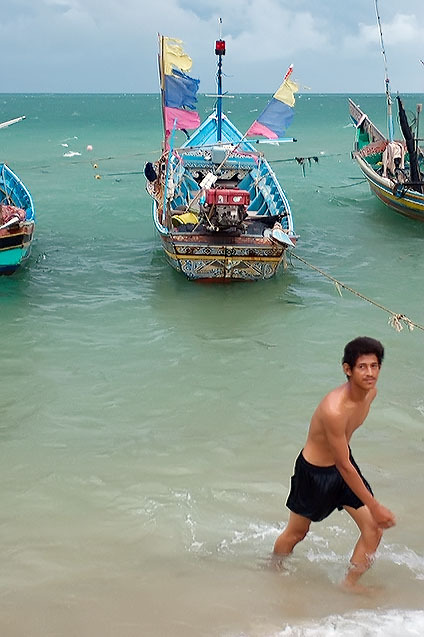 I am not just another farang tourist and the locals haven't yet become jaded towards people like me. It's a nice feeling and something that disappeared from places like Phuket and Koh Samui long ago. I've seen lots of beautiful beaches, lovely turquoise seas, tropical fish and palm trees. Quite frankly they bore me very quickly and the tourists can keep them. I also get bored very quickly with greedy Thais at tourist resorts who think I am just another idiot straight off the plane who is only there to be cheated and ripped off. I am grateful that Hat Yai isn't beautiful and long may it stay that way. Hat Yai is also a good size for me. I find the sheer scale of Bangkok overwhelming and I would get bored living in a small town or village in the countryside. Hat Yai is big enough not to be boring but small enough to still have a personal touch to it. There are excellent transport links to other parts of Thailand, Malaysia and Singapore so it is easy to get away from for short trips and in many respects I find it an ideal base. It provides a good mix of 'Thainess' and farang comforts. I can eat as much cheap, authentic Thai food as I like but when I crave a burger, pizza of KFC mashed potato, that stuff is also available. There are cinemas in town showing movies in English, bookshops with English language books and restaurants selling Western food but it's not like Phuket where everything is there for the tourists. In many ways it's the best of both worlds but (I'll say it again) it isn't beautiful. 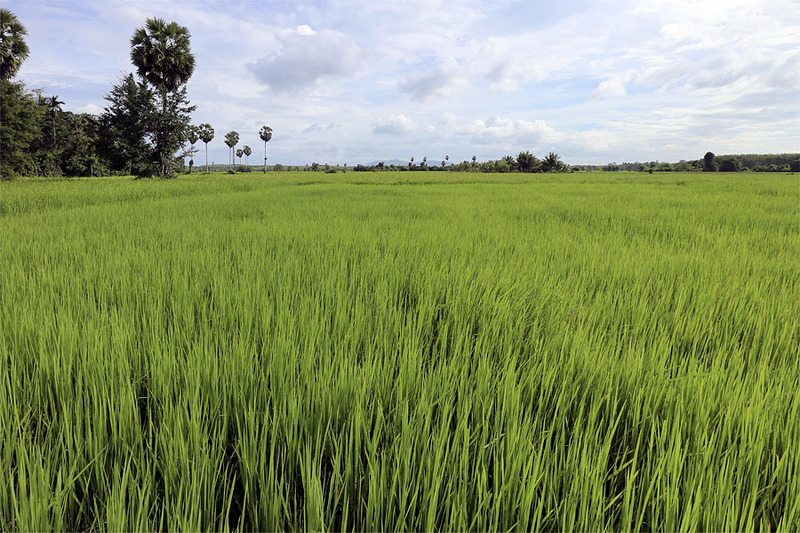 According to the Asian Cities Climate Change Resilience Network, the population in Hat Yai is estimated to be 371,000. Hat Yai is Chinese dominated. Estimates I have heard for the proportion of Thai-Chinese living in Hat Yai vary from 50% to 80%. These are Thais whose parents, grandparents or great-grandparents came to Thailand from China. The majority of tourists (from Malaysia and Singapore) are also ethnic Chinese. 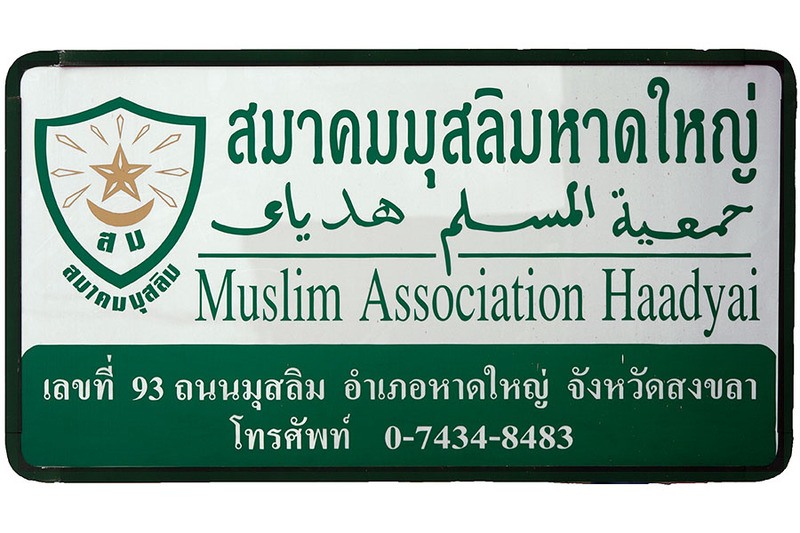 Many of the massage and shop staff in Hat Yai speak Chinese but not English. I understand a fair amount of Thai but often, while in the downtown area, it doesn't feel as if I'm in Thailand because all I hear is Chinese. Hat Yai is tiny compared to Bangkok, but as far as provincial Thailand is concerned it is a big city. There are lots of employment opportunities and therefore Thais from all over Thailand come to Hat Yai to find work. Almost all of the massage girls are from the north and northeast of Thailand, as well as quite a few from Burma. The 'booking girls' mainly come from the north and northeast, and there are lot of other hotel, shop and salon workers from the other southern provinces. I have met many Thais in Hat Yai from Yala, Pattani, Narathiwat, Trang, Phattalung, Surat Thani, Nakhon Si Thammarat, etc. etc. Most come from these areas for regular work. Of the girls working in massage and night time entertainment, a disproportionately high number come from the north-east area (Isaan) and the north (Chiang Mai and Chiang Rai). There are several schools in town catering to the local population, as well as a large campus for the Prince of Songkla University which attracts students from all over Thailand. Hat Yai and Songkhla are very closely tied together, although the two towns are quite different. Songkhla is the provincial capital and location of many local government departments, schools and universities. Hat Yai is more commercial and tourist oriented. A great number of locals travel between the two towns each day because they live in one place and work or study in the other. 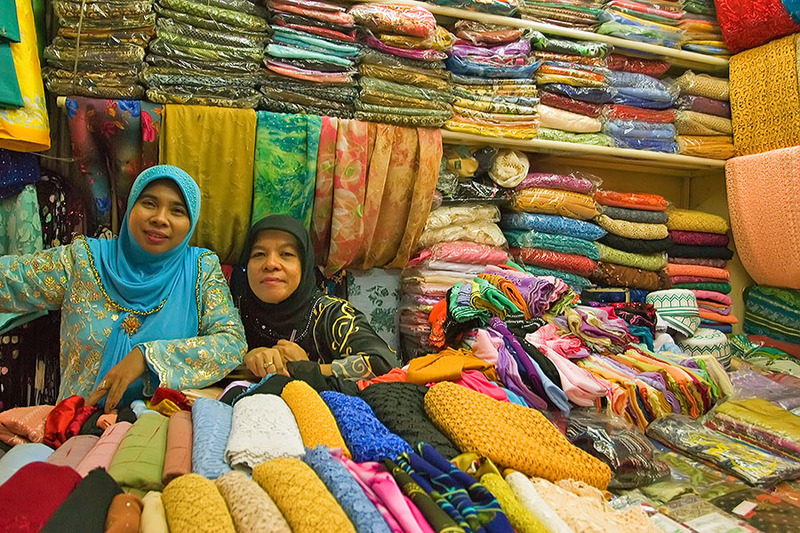 In addition to the ethnic Chinese population, there is also a large Muslim community. 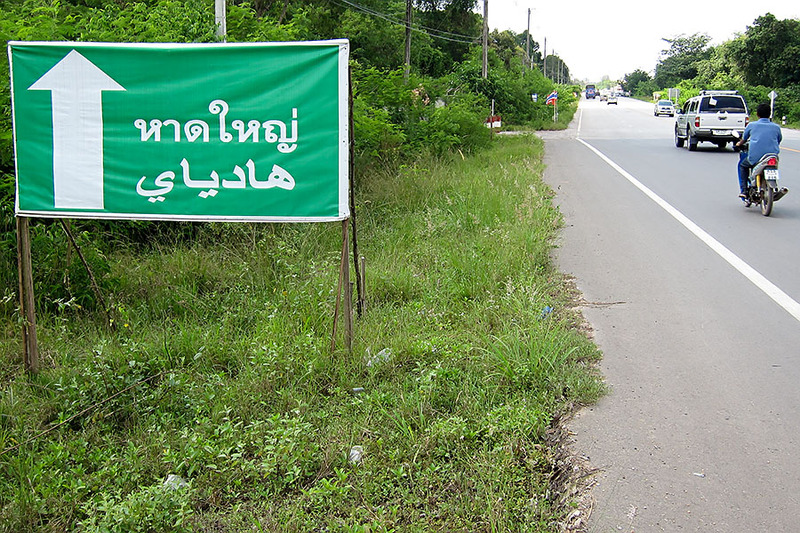 After Narathiwat, Yala and Pattani, Songkhla is the fourth southern province where Islam is widely followed. 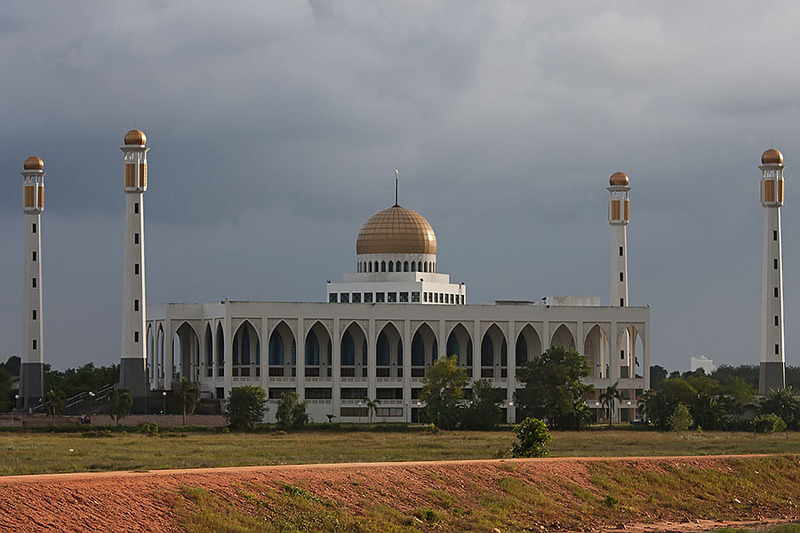 Mosques can to be found amidst Buddhist temples and Protestant and Catholic churches. Because of the tourist money, Hat Yai draws in many people from other areas of Thailand who cannot find work where they live. There has been an incredible amount of economic migration in Thailand where people have moved from poor areas either to Bangkok or to one of the popular tourist areas. It has confirmed to me how important the tourist industry is to Thailand. The farang expats in Hat Yai and Songkhla keep a fairly low profile. It seems that most foreigners living in the area long-term do so because they want a quiet life. Backpackers pass through while travelling between Thailand and Malaysia but don't stick around for long, and English teachers come and go. 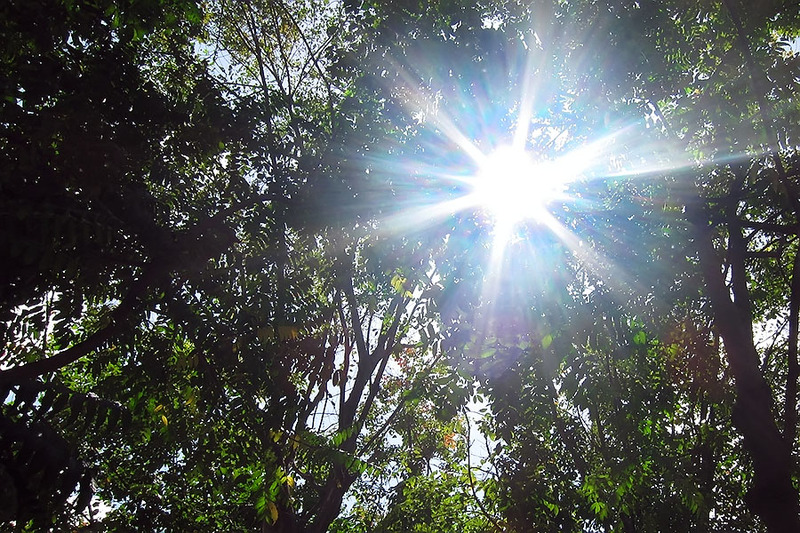 Southern Thailand is hot all year round. Sometimes it's just hot, other times it's very hot and occasionally it's very, very hot. The humidity can get quite high too. They told me the hot season was March and April. In true Thai fashion that wasn't exactly a lie, but neither exactly was it the truth. March and April are indeed very hot but so is January, February, May, June, July, August, and September. Unlike northern Thailand, Hat Yai doesn't get cold at night in the 'cool' season. In all my time spent living in Hat Yai I have never once needed any article of warm clothing. 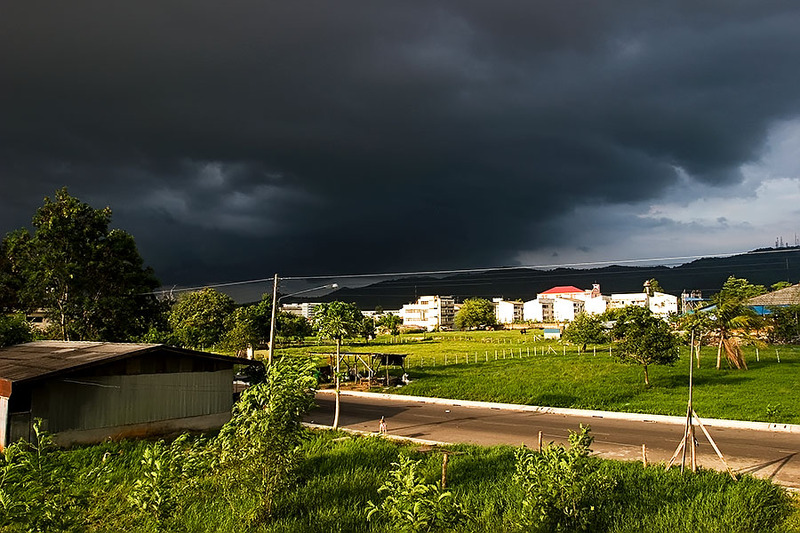 The town is surrounded by a ring of hills which effectively places Hat Yai in a 'bowl' and I think this is why it gets so hot in the summer. On a trip to Phuket one year I was surprised at how cool Phuket felt, and how hot Hat Yai felt when I returned. The rainy season varies slightly from year to year but fairly regular rain appears to arrive around mid-late September. October through to January can be very wet causing the floods which affect Hat Yai periodically. Every major flood that has hit Hat Yai has occurred in November. By February it's getting damn hot again, ready for the full-blown hot season and seven or eight months of intense heat. Be prepared for anything though. The winter of 2004/2005 was very dry - so dry in fact that over 50 Thai provinces were affected by drought conditions. In 2005/2006 there was a small flood and in 2010 there was a major flood. Many areas of Hat Yai used to flood regularly. In 2000 there was a big flood in which several people were killed by drowning and electrocution. There were still floods after I arrived at the end of 2003. Lots of work has been done to improve the flood defences in recent years, but the problem isn't fixed yet. Some areas still have problems when there is exceptionally heavy rain but many places that used to suffer are now flood-free. The most pleasant time of year is during the October to January rainy season, provided it's not actually raining. This is when the temperature is most bearable but heavy, persistent rain during this period can make life quite miserable. Hat Yai doesn't have a high and low season tourist as such. It's not like Phuket, for example, where there are huge crowds between November and March. The Malaysian/Singaporean tourist trade stays fairly constant year round but as they tend to visit at weekends there is a definite pattern each week. Central Hat Yai on a Saturday or Sunday looks very different compared to Monday mornings after most of the Malaysians have gone home. If you are planning to stay for a short visit and can time your arrival to fall on a Sunday or Monday it's a good idea (provided the previous weekend isn't a Malaysian public holiday). If you arrive on a Friday or Saturday, hotel vacancies may be more difficult to find. With regard to the time of year you visit, see my comments above about the weather. To summarise though, February through to September is very hot while October through to January is still hot but can be very wet. October and November appear to be about the two most comfortable months - temperature wise - but this period is subject to heavy downpours which can be a little disruptive. For a quick summary of my own thoughts and impressions of Hat Yai on a year-by-year basis, see Hat Yai Year by Year.